I am currently in my home country of France for a couple of weeks. Before getting here, I was a little worried about whether I could use my iPhone with a local carrier as I never was able to try YellowSn0w when I was in the US. 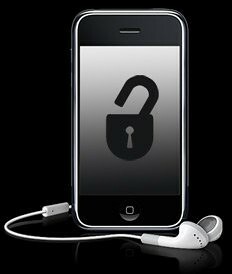 I unlocked my iPhone 3G about a month ago using YellowSn0w but since all my friends either are with AT&T or Verizon, I couldn’t make sure the unlocking worked. One of the first things I did when I got at my Mom’s was popping out her Orange (French carrier) SIM and put it in my iPhone. An error message showed up saying the SIM was locked and giving me the option to unlock it. I taped “unlock” and waited a few seconds until I realized that I was not getting any cell signal at all. I rebooted my iPhone, got the same error and still no success. Until I finally remembered that the SIM card you put in your jailbroken iPhone cannot be SIM locked. This means that the SIM card can’t be protected by a PIN. The following day I went buy a my own SIM card as I couldn’t use my Mom’s for the next 2 weeks… I bought a SFR SIM as it to me the best carrier. So this is my success story with YellowSn0w. If there is one thing to remember here, it is that if you have an issue with YellowSn0w, make sure the SIM you insert in your iPhone is not locked (PIN protected).